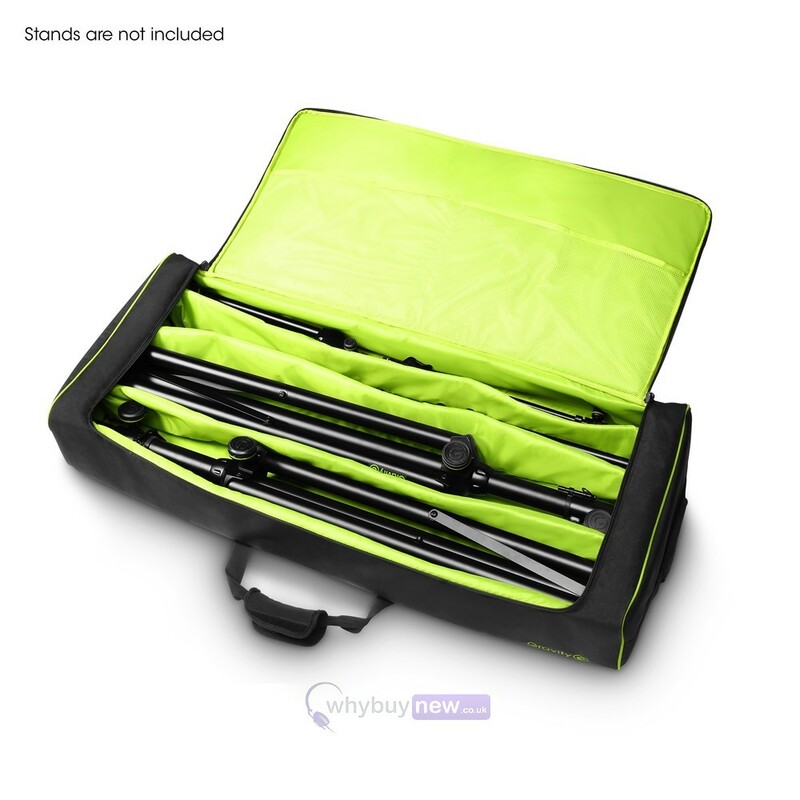 The Gravity BG SS 2 MS 2 B is a transport bag designed to hold two speaker and two microphone stands. 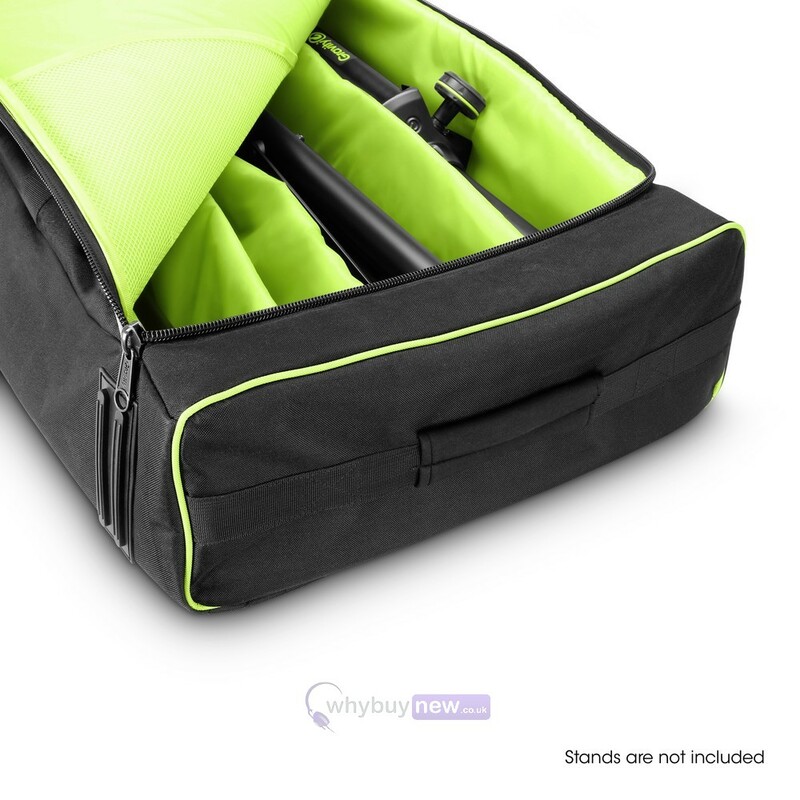 Featuring a robust, water-repellent shell made from 600 denier nylon and 10mm of foam cushioning plus padded dividers, it will protect your stands from any knocks, dents or other damage it may face during transit. 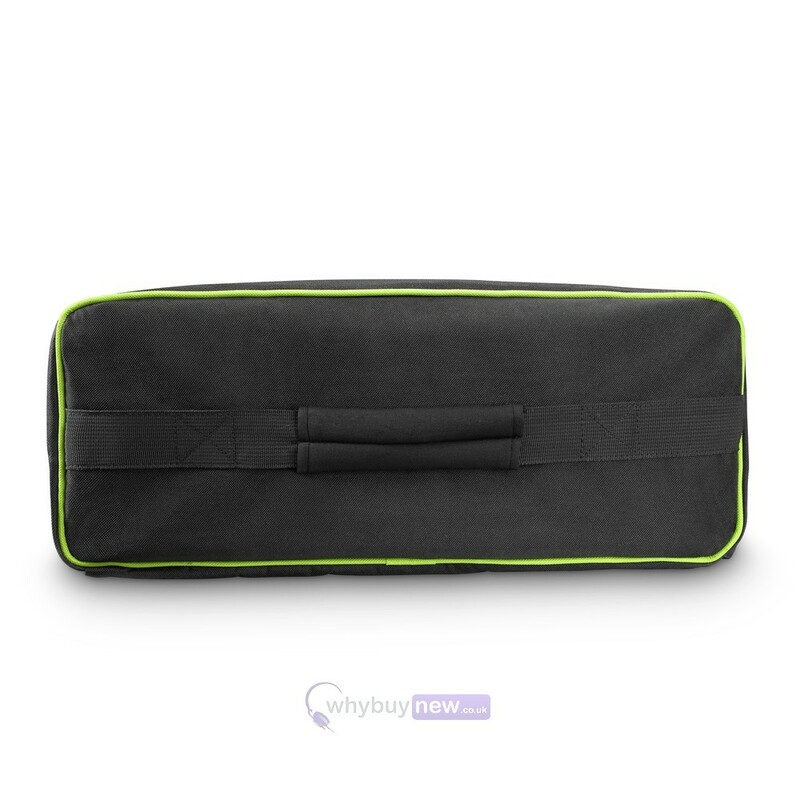 There are carry straps at either end and in the centre of the bag allowing for easy transport, and the internal mesh pocket is ideal for storing accessories. 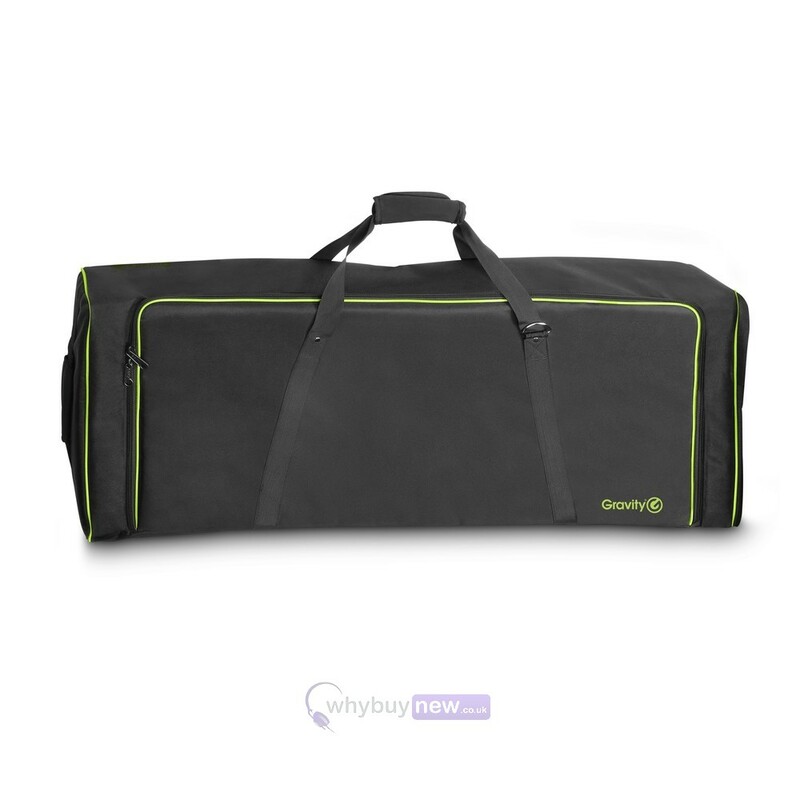 This heavy duty carry bag with 10 mm padding holds and protects two speaker and two microphone stands from bumps and dents. 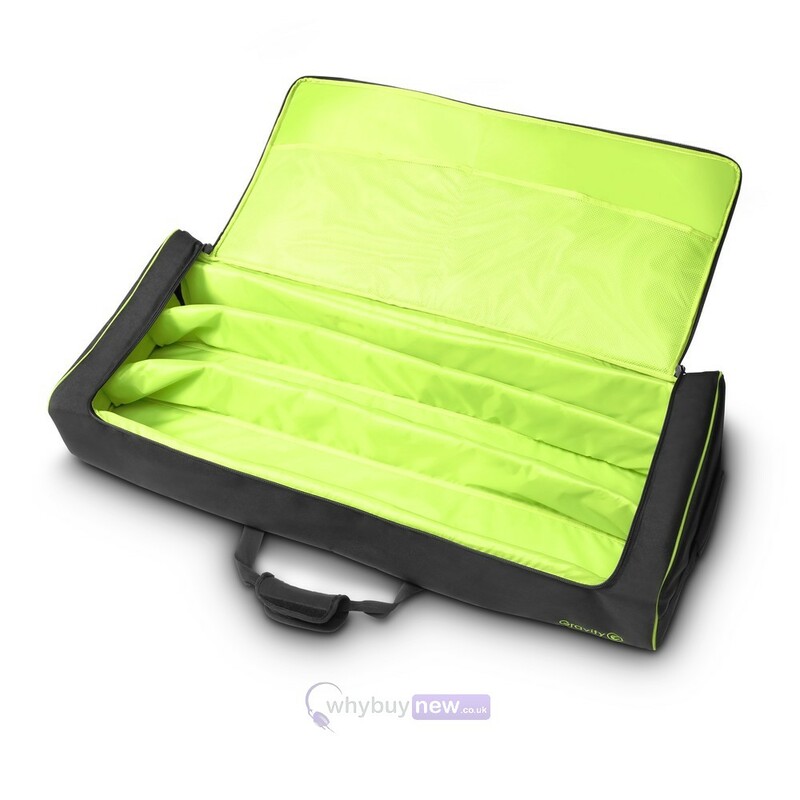 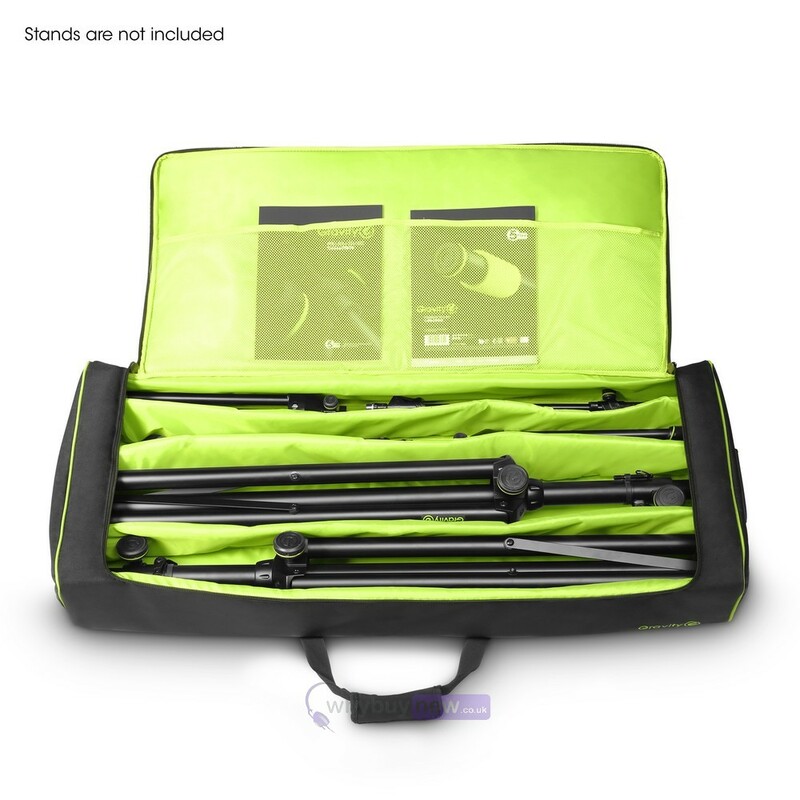 It is made of tough 600D nylon that is water repellent and easy to clean, padded dividers keep the stands separate to prevent scratches. 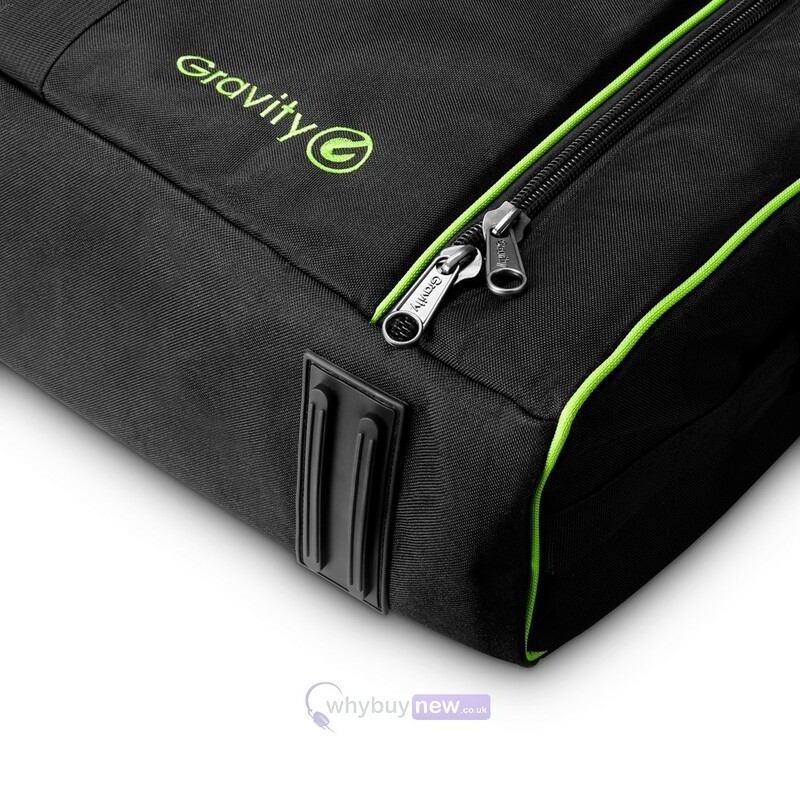 Comfortable carry straps on both ends and in the middle plus a heavy gauge zipper closure provide handling convenience. 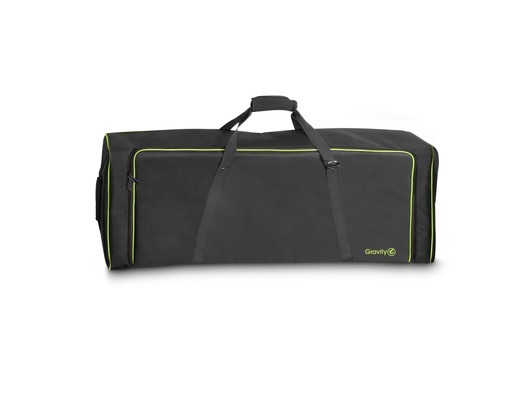 An additional mesh pocket offers plenty of space for accessories inside the bag.